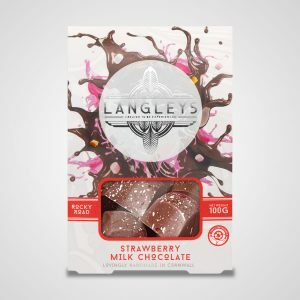 A glorious and scrumptious treat which combine balanced salty flavours with our classic Rocky Road regulars. 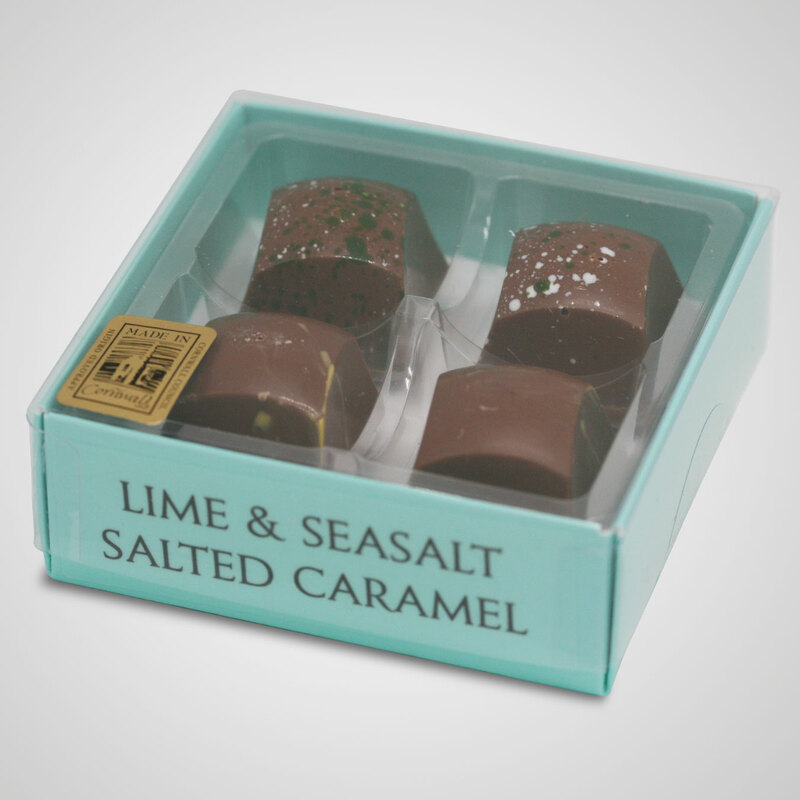 Lime & Seasalt and Salted Caramel are our must-have luxury chocolates for yourself or your loved ones. 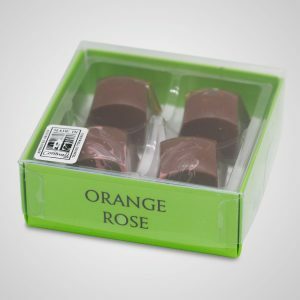 A small box of chocolates that let you know it has arrived – powerfully distinctive, and mouthwateringly lovely. This 4 Choc Box include 2 chocolates of Lime & Seasalt, and 2 chocolates of Salted Caramel. 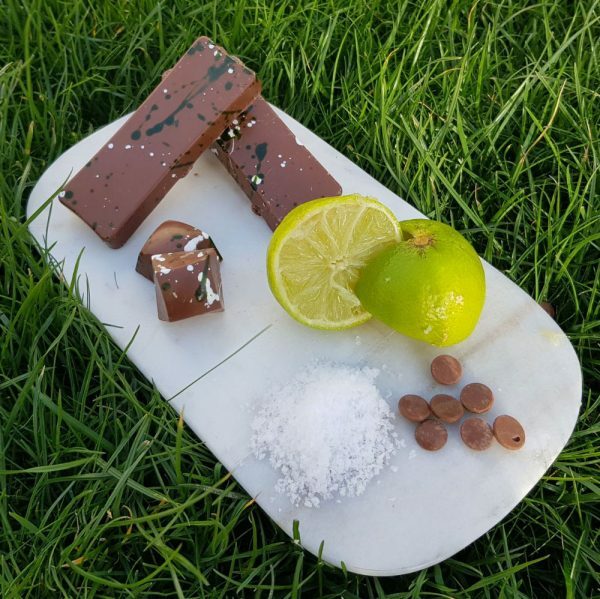 Our Lime & Seasalt Rocky Road with milk chocolate is cool, crisp and quenching, and its perfect fusion of flavour will awaken your senses like a fresh Cornish sea breeze. 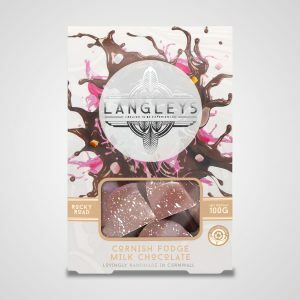 Salted Caramel has become one of the most popular chocolate flavours throughout the world, and our Salted Caramel Rocky Road is a triumph of flavour infusion. 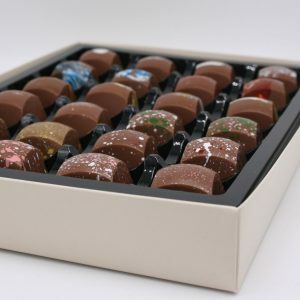 Treat yourself or a loved one to a 4 Choc Box. If you’re looking for a larger dose of salty deliciousness add a carton or two of our Lime & Seasalt to your basket. 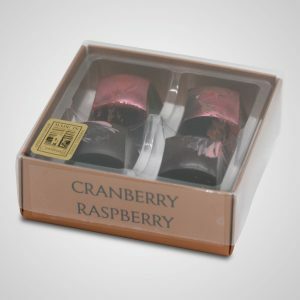 SUGAR, COCOA BUTTER, WHOLE MILK POWDER, COCOA MASS, CORNISH SALTED EMULSIFIER, NATURAL VANILLA FLAVOURING, SULTANAS, GLUCOSE SYRUP, SEASALT, SKIMMED MILK POWDER, SUNFLOWER OIL, MILK FAT, LACTOSE & PROTEIN FROM WHEY (FROM MILK), WHEY POWDER (FROM MILK), PALM FAT, FAT REDUCED COCOA, BARLEY MALT EXTRACT, SALT, EGG WHITE POWDER, MILK PROTEIN, WHEAT POWDER (FROM MILK), MILK FAT EMULSIFIERS (SOYA LECITHIN, E492), WHEAT FLOUR, PALM KERNEL FAT, PALM KERNEL OIL, RAISING AGENTS (E341,E500, E501), WHEAT GLUTEN, GLAZING AGENT (PECTIN), COLOURING (E102, E132, E133, E171), NATURAL LIME AND CARAMEL FLAVOURING.